On the fourth of the month, I do a mini-BioBlitz around the farm, and see how many species I can find in an hour or two. 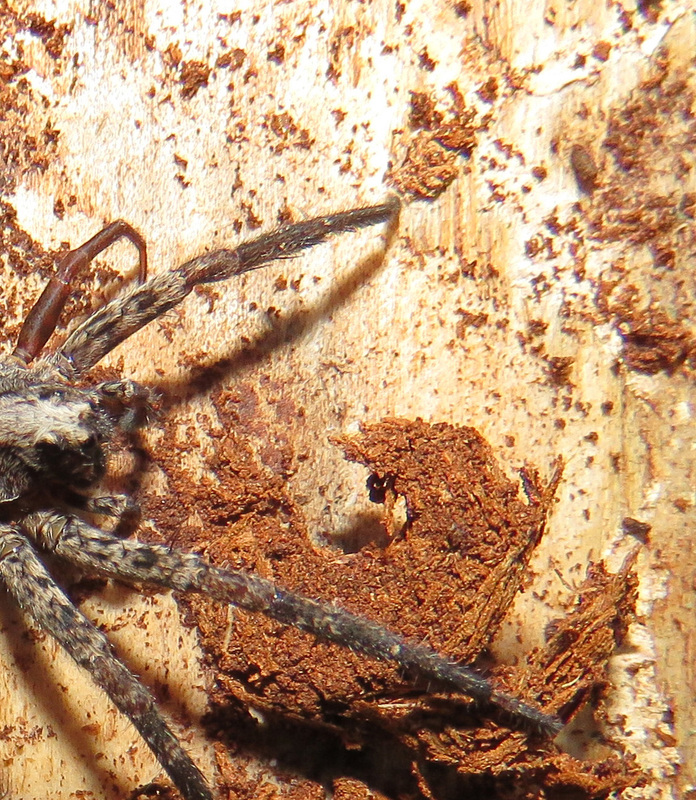 Yesterday, one of the things I noticed was bark peeling off a dead tree, and on closer inspection I saw this spider. Spider on dead pine tree. Looking at the pictures on my computer, I noticed that one of its legs was shorter and much smoother than the others. I looked it up, and apparently spiders can regenerate their legs! Looking again, I saw that its left front leg seems to have fewer sections than its right front leg, so possibly that has regenerated too. 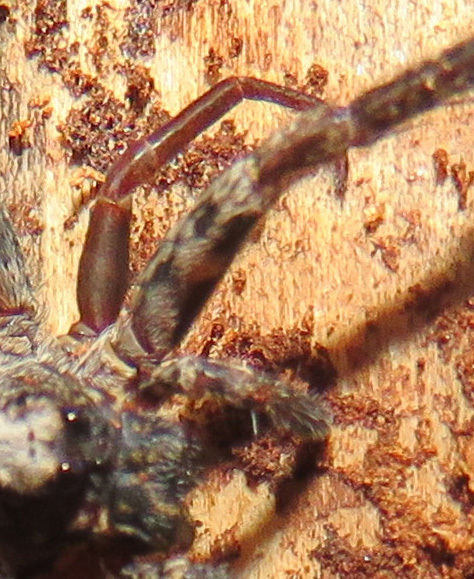 I should have made sure to get a good picture of its eyes — patterns of eye arrangement help you identify spiders. 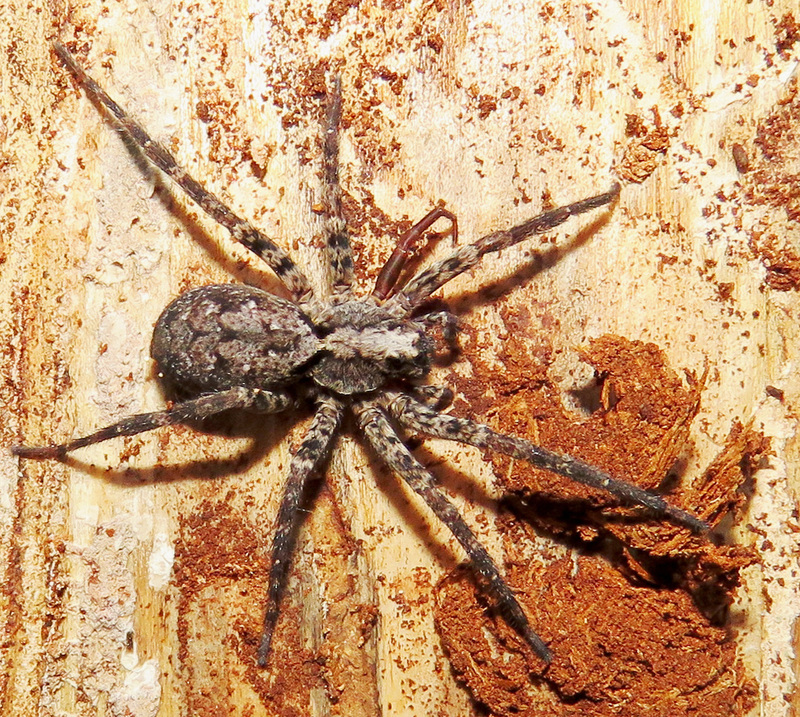 I think this is in the wolf spider family but I am not sure. BugGuide.net has more info on regeneration, and here is another one with a regenerated leg. Very cool. Never knew that. Me either! I didn’t know if it had regrown or maybe was some kind of mutation. Brilliant! I wouldn’t mind regenerating a few of my body parts when necessary!